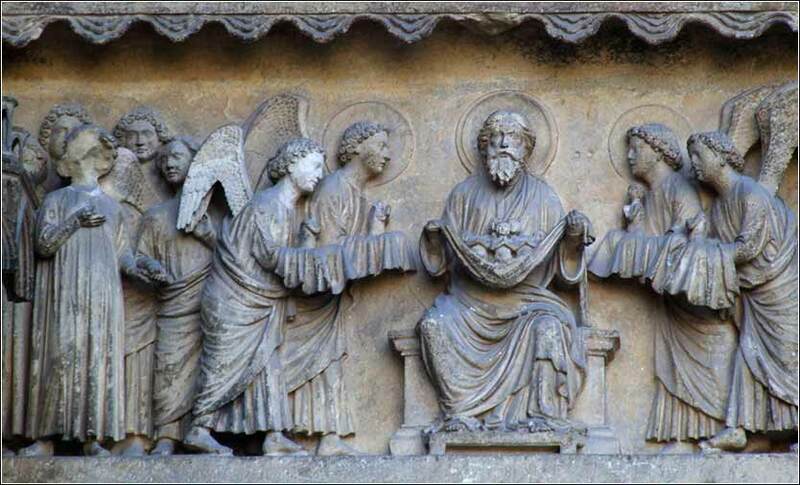 Reims Cathedral, carving of angels bringing souls to Abraham. 487 people in our community are currently praying with you. We’ll take a cup of kindness yet. You are ushering in another year, untouched and freshly new, So here I come to ask You God if You'll renew me too? Oh heavenly Father, who has created me, who has preserved my life, and who has promised the joy of eternal life to all who come to Him through his only Son, Jesus Christ: I vow and determine to grow in my faith during the coming year, learning your holy Word, coming to you in prayer every day, and resolving to walk in all those good works which you have commanded us to walk in. God and the Angels visit Abraham by Arent de Gelder, ca.1685. Treat people as if they are what they ought to be and you will help them become what they are capable of becoming. 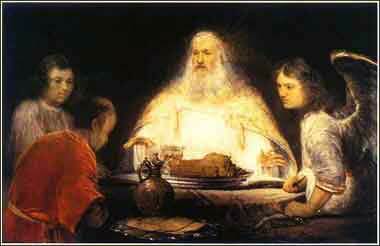 When Abram was ninety-nine years old the Lord appeared to Abram and said to him, “I am God Almighty; walk before me, and be blameless, that I may make my covenant between me and you, and may multiply you greatly.” Then Abram fell on his face. And God said to him, “Behold, my covenant is with you, and you shall be the father of a multitude of nations. No longer shall your name be called Abram, but your name shall be Abraham, for I have made you the father of a multitude of nations. I will make you exceedingly fruitful, and I will make you into nations, and kings shall come from you. Although these are usually intended to be permanent lifestyle changes, very few people keep their New Year's resolutions for more than a few months, if that. Don't fall into the trap of biting off more than you chew. It is better to do too little, and establish it as a permanent habit in your life, than to do too much and be doomed to failure from the first eager, earnest day. If you do this, the minutes you spend will be returned to you ten times over. You will start your day with a lot less anxiety, confusion and turmoil. You may not even know how much confusion your mind has been in, until you lessen it. You cannot successfully spend your entire life “in the moment”, but life constantly tries to force this upon you. If you spend every second trying to solve immediate problems, the most important things will never be addressed. Best of all, this is a sustainable habit. If you do this for a few weeks, you can do it for the rest of your life. I do this, and if my mind starts to worry over things, I use the phrase “God give me the peace to do Your will” to relax and recenter my mind.